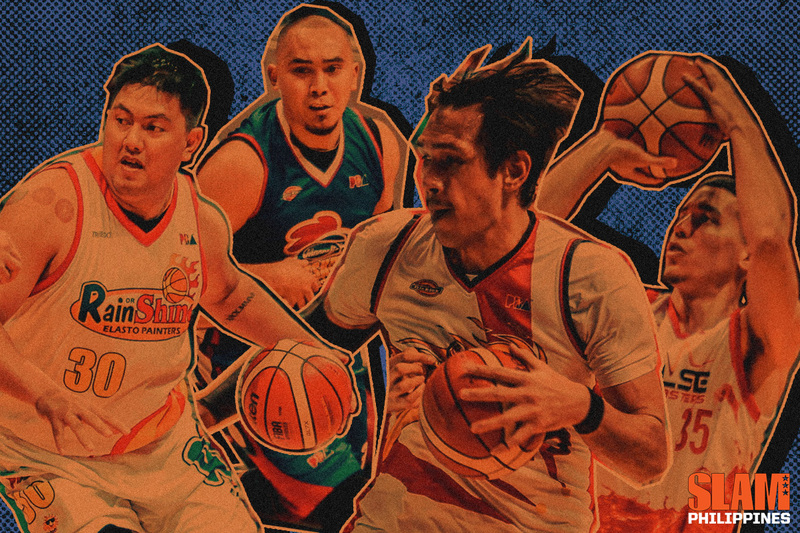 The PBA Philippine Cup Semifinals are upon us, and the field has been whittled down to four contenders vying for the All-Filipino crown. Both sides of the bracket have wildly entertaining matchups, so let’s take a dive into the matchups on both sides of the bracket. 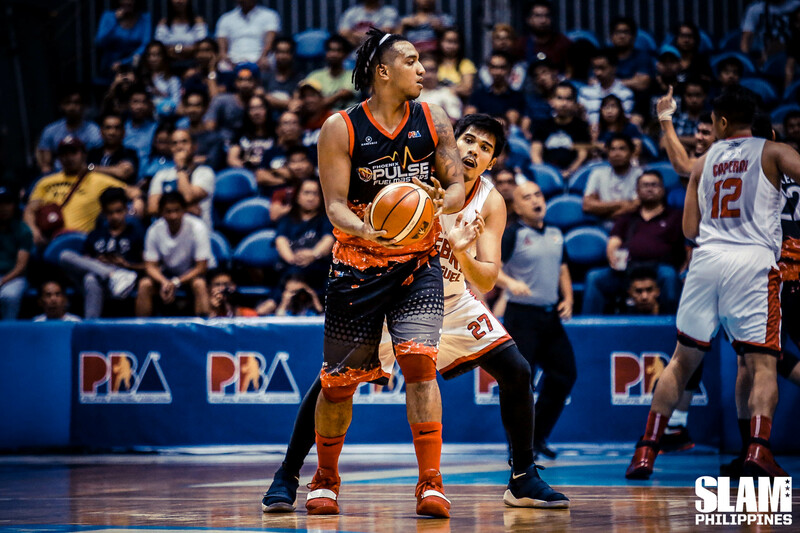 The Phoenix Fuel Masters are the toast of the 2019 Philippine Cup after topping the league standings with a 9-2 win-loss slate and expertly brushing aside a tough and desperate Alaska Aces team in the quarterfinals. What made their victory over Alaska more significant is that it was Phoenix’s first ever Playoff victory in franchise history. With that first W in the books for the Fuel Masters, we are seeing a side of them we have never witnessed before. The Fuel Masters have shown that they are a force to be reckoned with this season. Phoenix reminded people again and again that this is a ball club that is completely different from the squad that finished with a 4-7 slate just a year prior. Matthew Wright and Calvin Abueva have blazed a trail for Phoenix this conference. Wright leads the team in scoring with 18.7 points per contest and 4.6 assists, while Abueva chips in with 15.3 markers per game with 11.4 rebounds. Reigning Rookie of the Year Jason Perkins continued his development by putting up per game numbers of 13 markers and eight boards this conference. Perkins also turned heads with a 31 point explosion to eliminate the Aces in the quarterfinals. Phoenix are also a hungry bunch, whose coach openly admits that they are using previous failures as fuel for their success today. In particular, the pain of conceding a twice-to-beat advantage in the Quaterfinals of the Governors’ Cup last season proved to be a great motivator. On the otherside, the defending Philippine Cup champions, the San Miguel Beermen, are looking to end Phoneix’s fairytale run. After a rough and tumble elimination round, the Beermen’s heavy weaponry are now clicking into gear. 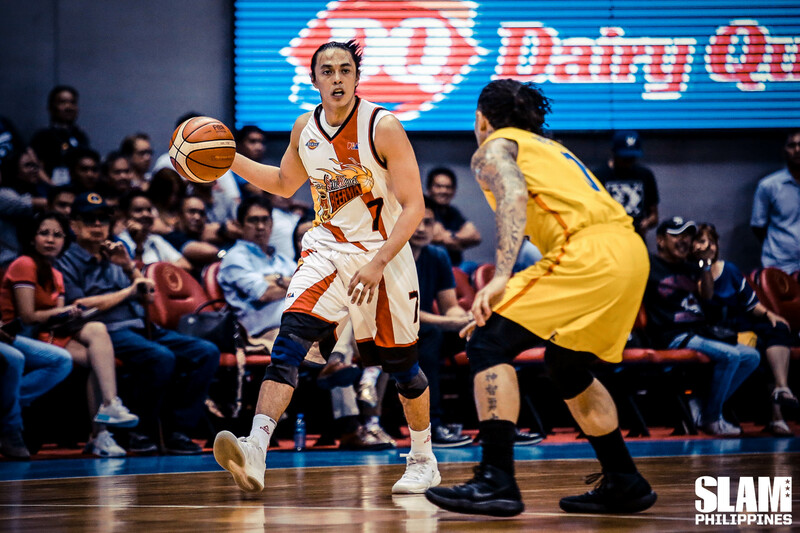 Christian Standhardinger, Terrence Romeo, and Alex Cabagnot all missed time due to injury, but have managed to be ready for a rough series against the league’s newest contender. Leading the charge for the Beermen this season is none other than reigning MVP June Mar Fajardo, who is also set to claim his sixth straight Best Player of the Conference plum. The Kraken continues to lord over the PBA with 22.0 points and 12.5 rebounds per contest, and is a matchup nightmare for any team to prepare for. While San Miguel have disappointed in their elimination round showing, their star power is finally coming to the fore in the Playoffs. But despite all of that, the Beermen refuse to take Phoenix lightly. Standhardinger missed the 96-93 loss to Phoenix in Panabo City due to injury, but with the big man ready to contribute it could be a different story next time around. Game 1 of their best-of-seven series between San Miguel and Phoenix tips off on Saturday at the Mall of Asia Arena. There was a time late in the elimination round the Rain or Shine Elasto Painters looked to be in trouble. A two-game losing skid doused cold water on Rain or Shine’s smoldering start to the conference and prompted a scathing critique from the head coach Caloy Garcia. “Medyo after the long break sabi ko sa kanila nag-iba na yung ugali nila, parang naging selfish-minded sila,” Garcia said after an upset loss to the Columbian Dyip. But winning solves everything, and Rain or Shine still managed to make their twice-to-beat edge in the quarterfinals count by mangling the North Port Batang Pier, 91-85, in their first try. Now the Elasto Painters have to believe that all their late season woes are behind them as they take on the streaking Magnolia Hotshots. On the face of it, the prospect of star guards James Yap and Paul Lee facing off against their respective former employers is already a mouth watering draw to this matchup. The two high scoring cagers have been the driving force for their teams this conference, and could possibly turn it up a notch at such a crucial juncture. Yap has turned back the clock this conference, showing off his man-with-a-million-moves skillset on the way to producing 14.7 points per game off 40 percent shooting from beyond the arc for Rain or Shine, On the other end of the spectrum, Paul Lee has chipped in with 14.5 points per game for Magnolia this conference. Apart from Yap and Lee, both sides have a lot of fire power to make this series even more intriguing. Veterans Ian Sangalang and Mark Barroca will be expected to make a big difference for Magnolia, especially with the pair contributing 15.7 and 13.1 points on average, respectively. While young stars Maverick Ahanmisi, Norbert Torres, and rookie Jayvee Mocon look to leave a mark on the league for Rain or Shine. Like Rain or Shine, Magnolia also had a rough patch this conference. 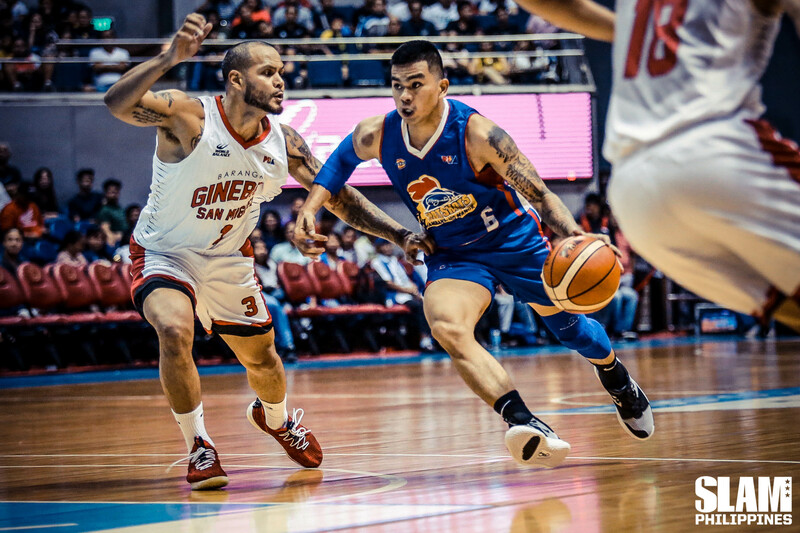 An 0-3 start to the year was far from ideal for the Governors’ Cup kings, who openly admitted that they suffered from a case of ‘championship hangover’ to start the year. But head coach Chito Victolero is glad that his team shook off the ill effects of winning a championship at the right time. “It’s all about their grit, their effort, and aggressiveness. The desire to win. Na makaahon kami sa 0-3,” Victolero said after sealing a berth in the semifinals. 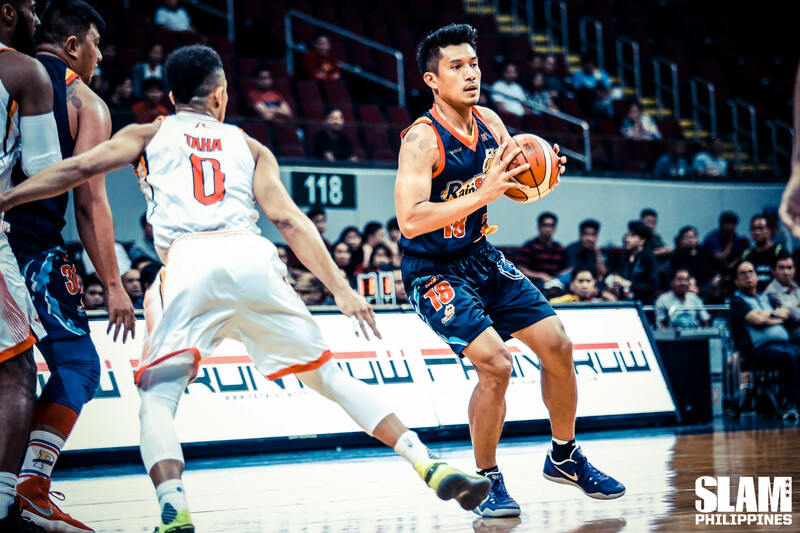 In their only clash of the elimination round, Rain or Shine eked out a 75-74 win over Magnolia after Yap and Ahanmisi led the way with a combined 31 markers. But then again, that game took place all the way back in February. Magnolia is finally back to looking like the championship team of last season, and hope to make noise in the Philippine Cup. For Rain or Shine, they have displayed that if they play as team they could beat any opposition that comes before them. Game 1 of their best-of-seven slugfest tips off on Friday at the Big Dome.